Of the latter fascination, the late Paul Armstrong used to say that it was because we are all as full of crime as Sing Sing—only we don't dare. Thus, may I ask, are we not fascinated by the ghost story because, no matter what may be the scientific or skeptical bent of our minds, in our inmost souls, secretly perhaps, we are as full of superstition as an obeah man—only we don't let it loose? Who shall say that he is able to fling off lightly the inheritance of countless ages of superstition? Is there not a streak of superstition in us all? We laugh at the voodoo worshiper— then create our own hoodooes, our pet obsessions. It has been said that man is incurably religious, that if all religions were blotted out, man would create a new religion. Man is incurably fascinated by the mysterious. If all the ghost stories of the ages were blotted out, man would invent new ones. For, do we not all stand in awe of that which we cannot explain, of that which, if it be not in our own experience, is certainly recorded in the experience of others, of that of which we know and can know nothing? 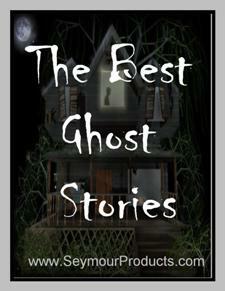 This PDF ghost ebook is just $1.00!